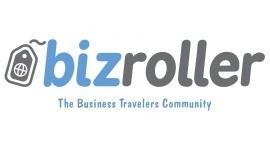 Created by and for Business Travelers, BizRoller is the one place for connecting to other Business Travelers and getting focused reviews on everything from conferences, restaurants, meetings, hotels, sports, theater, entertainment, attractions, performances and support services. Looking for a business-person suitable place to go, something to do, a service or to connect with other travelers while away on business or at a conference? Sign-up to be notified when our beta opens. My class project site will be used to learn skills which will be applied to my two existing sites BizRoller.com & BarTaste.com. I have already enhanced my existing sites with skills I've learned to date. I created BizRoller.com in the first One Month Rails Class and have been building it ever since. I need to build my skills in HTML & CSS in a structured way instead of the adhoc, web search trial & error method I have used up to this point which is why I am taking this class. BarTaste.com is built on WordPress and hosted at Bluehost..